There were eight (eight!) happy dog adoptions at Orphans of the Storm® during just the ~3 hours I was there this week. There are still plenty more waiting to find their furever home, though! 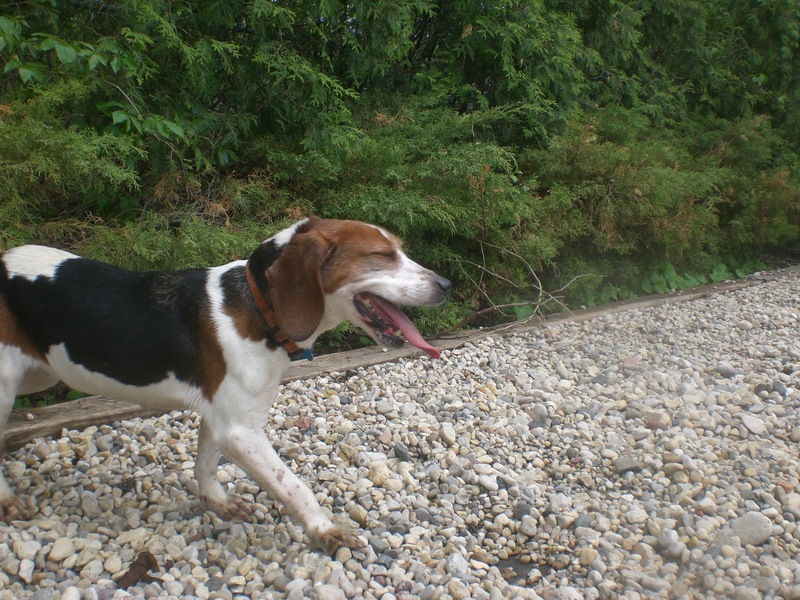 And what better time to welcome a new pooch into your home than the end of spring/beginning of summer, when the weather is beautiful and you’re looking for a new walking buddy to enjoy it with! 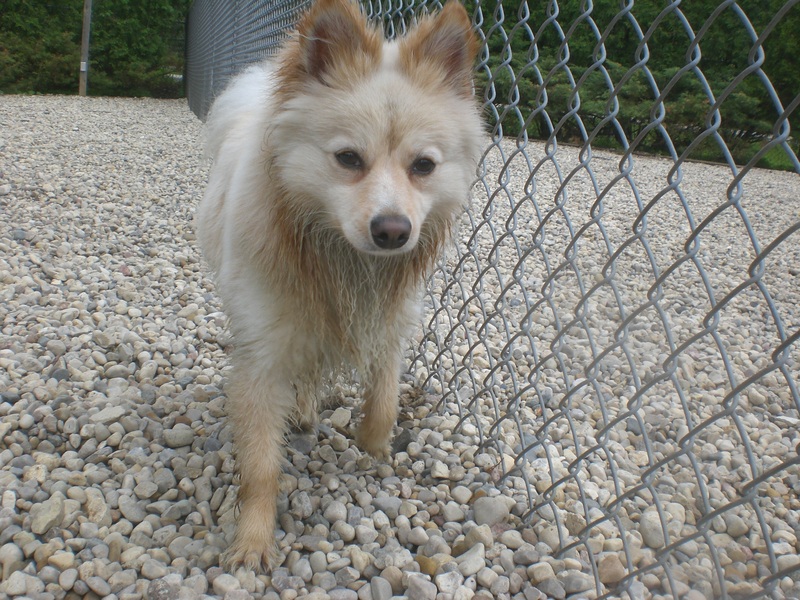 Porky the two-year-old American Eskimo mix is an adorable little ball of fluff. 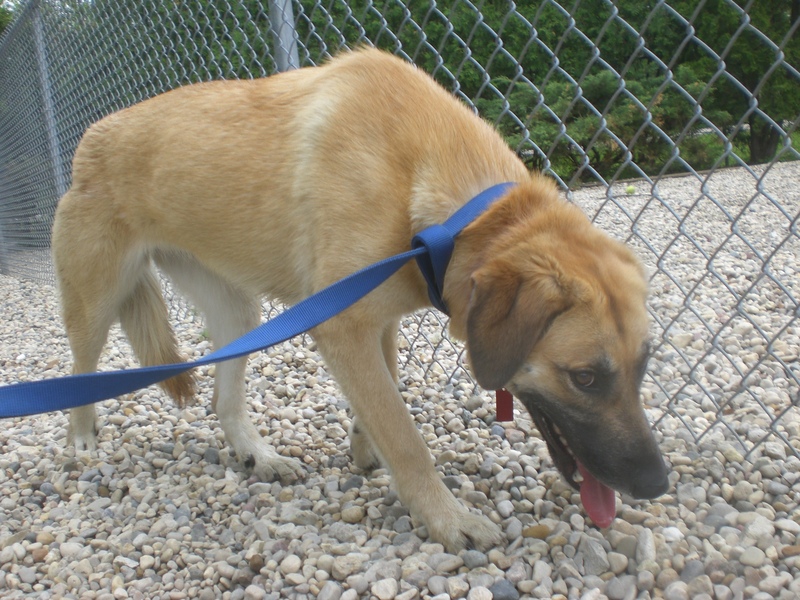 He was found as a stray and gets a bit nervous when people walk up to his kennel, but he absolutely lights up as soon as he’s on a leash and gets to go for a walk. For the first few minutes we were in the off-leash run, Porky mostly kept to himself and followed his nose, just getting used to his surroundings. Porky soon came to the realization that I was there to spend time with him. He trotted over to me and tentatively sniffed my shoe and my hand, then happily stood by my side while I pet his fluffy fur. He especially seemed to enjoy being scratched right at the top of his head, between his ears. Porky was originally sharing his kennel with another smaller dog, so he could potentially go to a home with another furry friend. 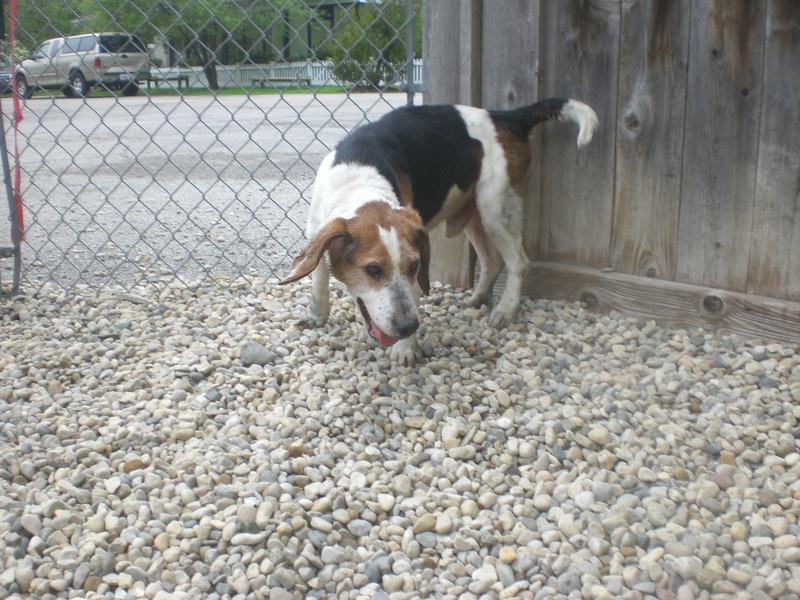 Come in soon to see if Porky is the companion for you! Celine the one-year-old German Shepherd mix is a sweet girl who just needs somebody who will help her come out of her shell. Celine wasn’t too sure about having a leash put on at first, and spent the beginning of our walk close to my side, sometimes stopping and hiding behind my legs if other people or dogs passed by. After some soothing words of encouragement, she perked up and started walking much more confidently. Celine warmed up more the longer we spent together. She even eventually gave me a quick doggy kiss and put her paw in my lap. Her tail started off tucked between her back legs, but by the end of our walk it was actually up and wagging a little. Celine is still a puppy, so she could definitely benefit from some training (which would also help boost her confidence!). Everybody who saw us on our walk commented on how pretty she is. 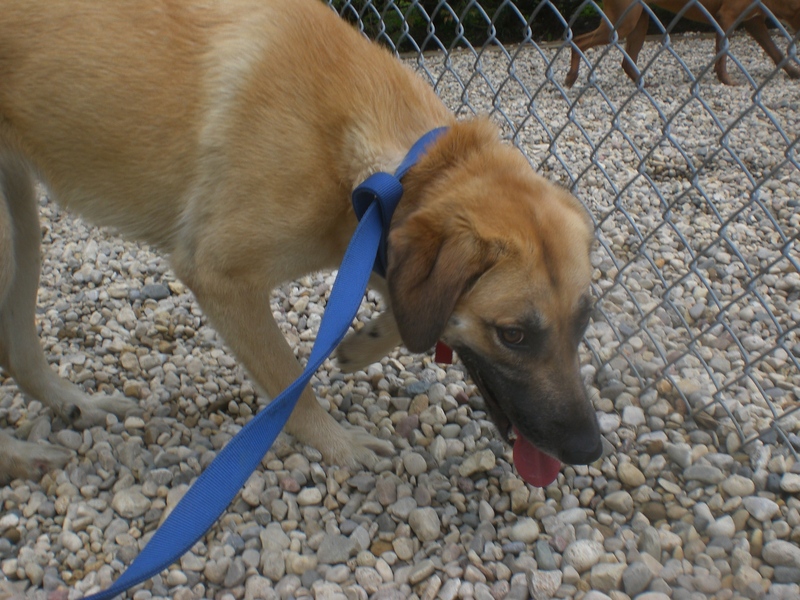 Come in soon to meet Celine! 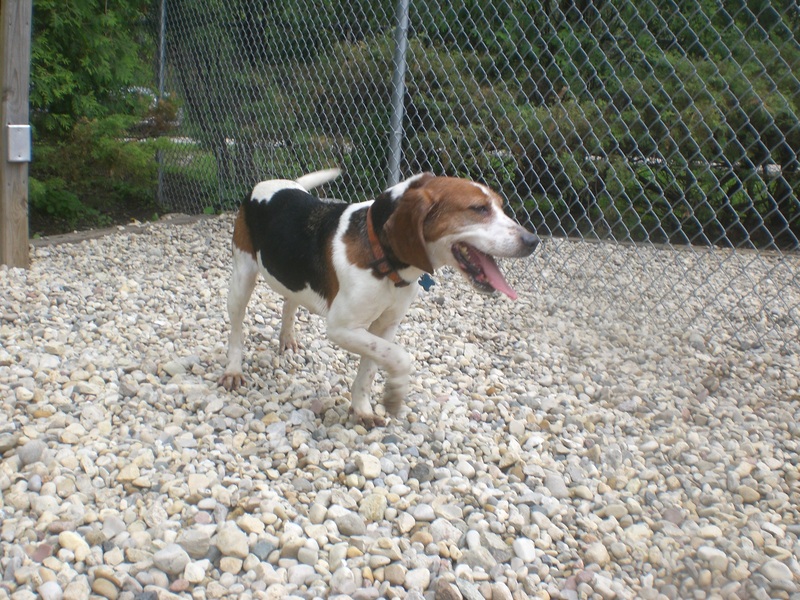 Joei and Susan the seven-year-old Beagle mixes make an adorable (almost identical) pair. They don’t have to be adopted together, but they’re very attached to each other and would prefer to stay together if possible. After all, what’s better than one Beagle? Two Beagles! Joei and Susan are new to the shelter, so they were a little unsure about coming out for a walk with me–Susan especially. But with the encouragement from her buddy, we were all able to get outside and take a little walk before heading over to the off-leash run. I’m not particularly good at walking two dogs simultaneously, but Joei and Susan made it pretty easy for me since they were more interested in staying close to each other. Although Susan was more apprehensive initially, she turned out to be the first one to come over and cuddle with me once the two were free to roam. Susan is one of those dogs who truly looks like she’s smiling, and you can’t help but to smile back. Susan also liked to follow Joei wherever he went in the run. 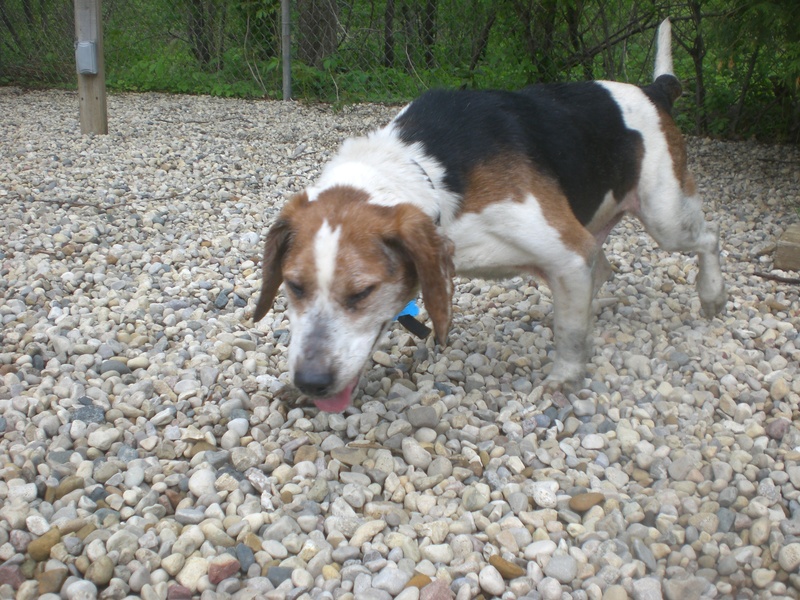 Joei was staying true to his Beagle breed and kept his nose to the ground most of the time, following scents and exploring underneath and behind the bushes. When I sat down on the bench, though, he came over and hopped up on the bench next to me (after a few tries, since his legs are on the shorter side). If you’re considering adding an adorable duo to your household, come in soon to meet Joei and Susan! I also saw Bear, Blush, Courage, Daisy, Diamond, Roxy, Trixie, Tucker, and Winter. 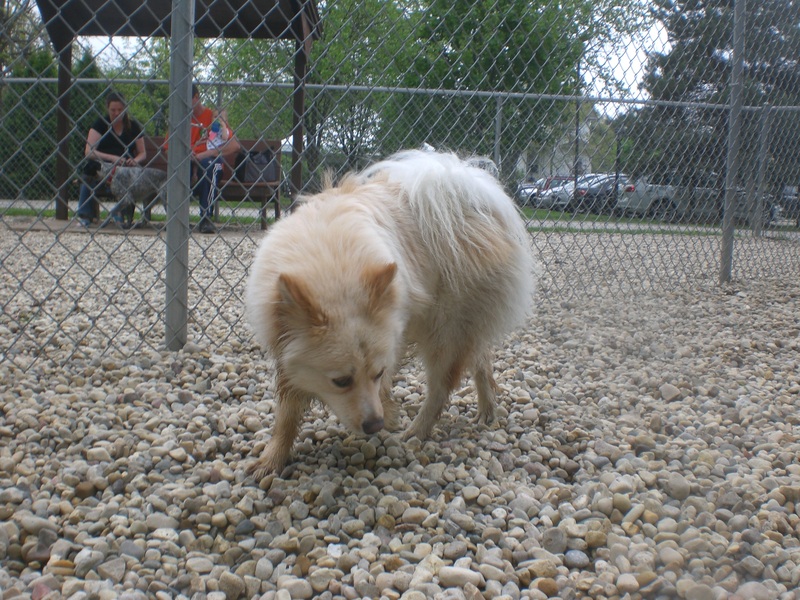 Posted by Meet the Pooches on May 21, 2015 in Dog Profiles and tagged adopt, adoption, American Eskimo, animal shelter, animals, Beagle, Chicago, Deerfield, dogs, German Shepherd, Orphans of the Storm, pets, Riverwoods.